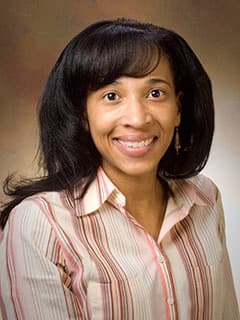 Denise Arnaud-Turner, MD has been practicing pediatrics since 1996. She received her medical degree from the University of California in San Francisco. She completed her residency at the Children’s Hospital of Oakland, California where she also served as chief resident. Denise has a special interest in preventative medicine while enjoying all aspects of pediatrics. She is a mother of three and a native of New Orleans, Louisiana.